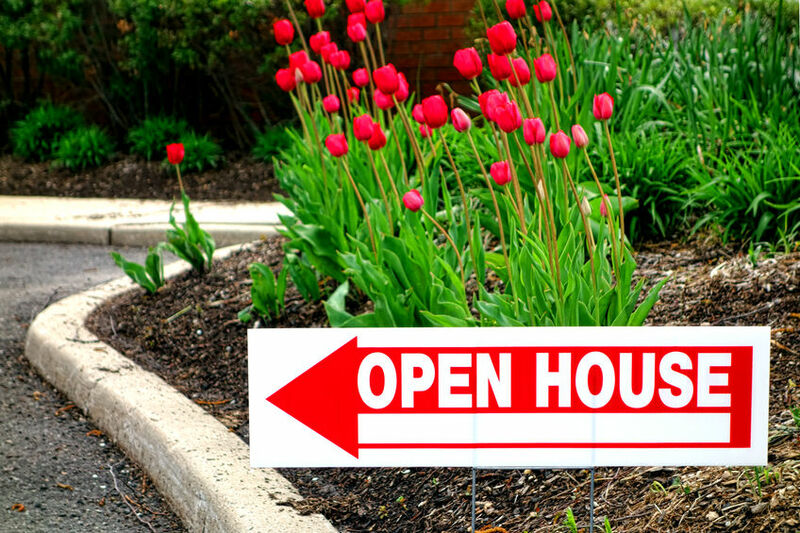 An open house is one of the best ways to allow potential buyers the opportunity to see your home, but it can also be quite stressful for sellers who must spend hours – if not days – cleaning beforehand. Here are some tips and tricks for cleaning your home prior to an open house to ensure everything looks great without the stress. Air vents are one of the most overlooked areas in a home even though they can get surprisingly grimy and dusty. You can use a vacuum attachment to remove a lot of the dirt and dust, but if you’re struggling to get inside the louvers, try wrapping a cloth around a butter knife and moving it back and forth between them. You can add some warm water and mild cleaning solution – like dish soap – if there’s any particularly tough grime. You might also find it easier to unscrew the vents from the floors, ceilings, or walls to give them a more thorough cleaning. If you’ve ever scrubbed your windows inside and out only to be disappointed by the grime trapped inside the screens, you certainly aren’t alone. There are a few ways to get those screens sparkling, though. If you don’t want to take them off, you can use a lint roller to pick up dust and dirt. However, if they are especially dirty, you may need to remove them, prop them up, and spray them with your garden hose. Mild dish soap can help remove any sticky debris like sap if necessary. Blinds can be a pain to clean, even with tools on the market designed specifically for that purpose. Rather than spending the extra money and feeling the frustration, take a pair of everyday salad tongs, wrap each end with a clean cloth, secure the cloths with rubber bands, and go to town. This will make it incredibly simple for you to clean both sides of each slat with every pass, and it does a fantastic job, too. You can even use a standard all-purpose cleaner to remove tougher dirt and grime, if necessary. While the microwave may not be the first place people look during an open house, it’s easy to forget to clean it, and it can make a bad impression. Fortunately, steam cleaning your microwave is easy and quick, and you’ll find yourself doing it often once you experience it. Just take a glass of water, add a single chopstick or wooden spoon, and put it in the microwave long enough to get it boiling and steaming. Then, leave it to sit for a minute or two after the cycle. When you open the door to wipe the microwave down, the stuck-on food will come right off. For extra-stubborn messes, use one part water and one part vinegar, instead. Using a broom to knock down cobwebs can certainly do the trick, but brooms aren’t the best tools to use. In fact, there’s a good chance you already have the best tool for this job in the utility closet – a dust mop such as a dry Swiffer. Just put a clean cloth or pad on and go over the walls in your home. In the bathroom, you can use a wet pad to clean tile and remove mold. As you can see, cleaning your home doesn’t have to be difficult, and there are some pretty unique shortcuts you can use to get the job done more quickly. It’s easy to overlook these areas, so sit down and brainstorm your own ideas prior to your open house to really wow your visitors.